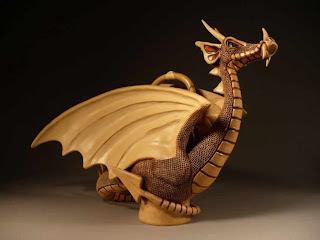 These pottery dragons were created by Christy Crews Dunn. Christy creates pottery of almost any kind of animal you can imagine, but I really like the dragons. 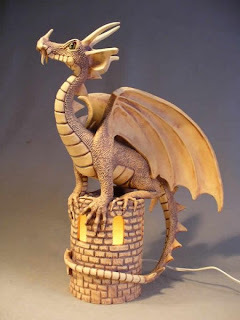 These dragons not only are beautiful, but also practical. If you haven't noticed, one of them is a lamp, and the other is a teapot!